We offer two leasing options for residents. 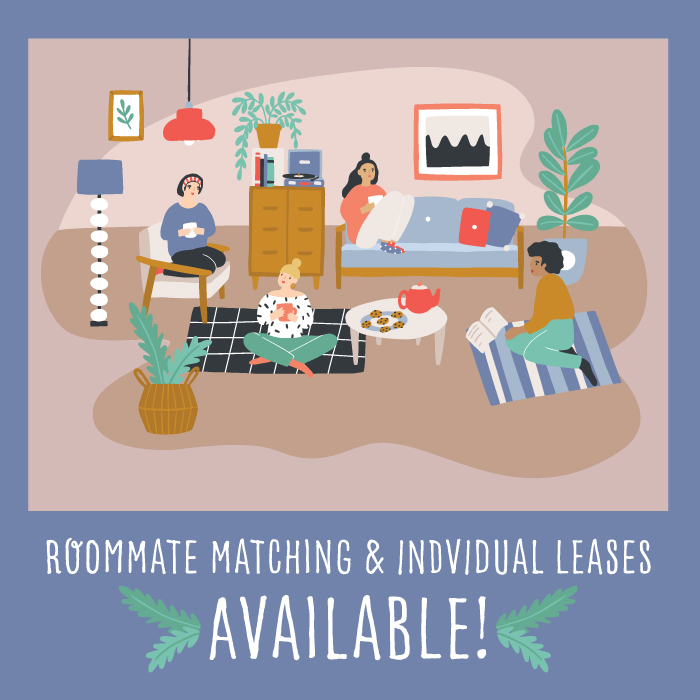 You can lease the entire apartment and find your own roommates or add family members OR you can lease an individual bedroom within a 4 bedroom apartment. We offer roommate matching online to help pair residents.